There’s a scene in the first Michael Keaton Batman movie where the Joker and his goons descend on a museum. While Prince’s "Partyman" ricochets from a boombox, they gleefully slam paint balloons into the masterworks on the walls. It’s supposed to be transgressive, but only up to a point. The neon-splattered results still look pretty cool, after all. 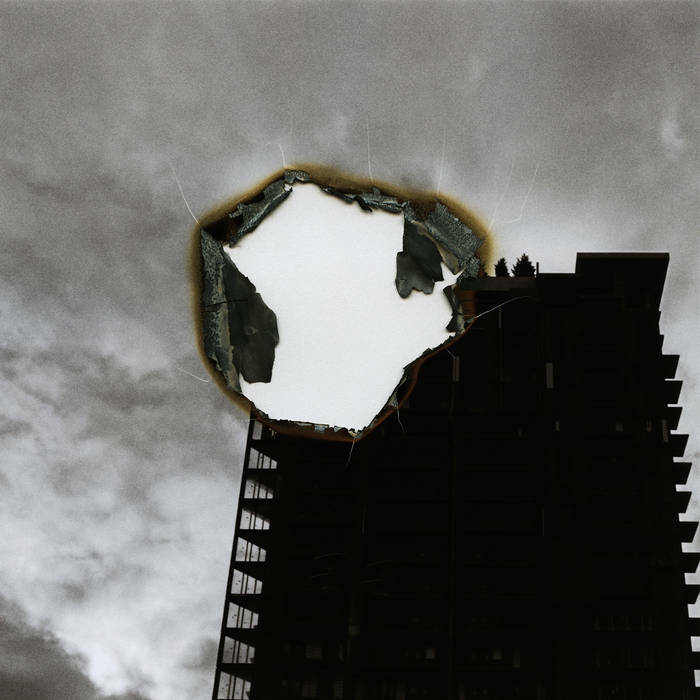 That push and pull is right at the heart of Jo Passed’s first LP, Their Prime, because the Canadian band’s music is all about roughing up the edges of songs that would otherwise be outwardly pop. Jo Hirabayashi’s melodies, and there are plenty of them, are delivered in a restrained, almost somnambulant manner that makes the listener work for their sugar rush even after they have dragged themselves through knotty, pointed guitar lines. Alongside his bandmates, Hirabayashi has sought to carve a space for Jo Passed among some disparate influences. Here you will find flashes of Burning Airlines’ left-field, polyrhythmic approach to stadium-sized hooks, plus reverential nods to British psych-pop and overdriven guitar freakouts. If Steve Albini were to diss Jo Passed, he might call them the Dodos with a fuzzbox. But you get the feeling they’d happily own that, or any other comparison you might dream up. There is confidence in each melodic feint on Their Prime; a winning sense that over time they have refined their sound to reflect their ambitions for, and frustrations with, the band. A child of Vancouver’s DIY scene who has become increasingly disenfranchised thanks to sweeping gentrification, rent hikes and the erasing of creative spaces, Hirabayashi’s free-flowing interpretative approach to traditional indie-rock structures is bolstered by his lyric sheet. Their Prime is a loose concept record about existing in a city as it seeks to spit you out, and the erosion of self that accompanies that tug of war. Can we make time for ourselves if it’s made plain that our surroundings won’t meet us in the middle? Hirabayashi cuts this anxiety with a hall of famer: the feeling that our best, most imaginative days are behind us. Jo Passed have built a sound that preserves their influences while forging something that might outlast them. They are a neat fit for Sub Pop, a label that has long opted to put a fresh lick of paint on loud guitars and sweet melodies, and there’s something vital about their approach to a rusted format. Hirabayashi’s words will be understood by people in almost any city, and they speak of a fight that’s ongoing in arts communities the world over. Some of the music here feels close to collapse, but it keeps itself upright one way or another. By existing when they could throw in the towel, Jo Passed find a sense of purpose.